Unreal Candy...Real Ingredients...Minus the Junk! Unreal Candy…Real Ingredients…Minus the Junk! I am that mom…the mom who fed her children organic fruits and vegetables over and over until they actually began requesting them…the mom who’s child didn’t know fast food until we took a road trip to visit family well into our son’s second year of life…the mom who cringes when she sees candy and other sugary, salty, fatty snacks at birthday parties, play-dates, and other kid-focused events. For the most part, I’m a health nut. I shop at farmer’s markets and all-natural food markets…I buy local, organic, sustainable foods and products. I’m also imperfect. I have a sweet tooth and very often crave dark chocolate. Sweets are my weakness…my stumbling block against weight loss. I don’t often buy cookies or candy because whether or not those items are organic, sustainable fill-in-the-blank, I’ll eat them (and often in quantities that exceed the recommended portion sizes). If I were to ask you whether or not you consider candy to be healthy, most likely you’d answer no (emphatically, of course). High fructose corn syrup, hydrogenated oils, artificial colors and flavors…those are just a small handful of the ingredients you’ll likely find in your favorite candy. So what do you do? Avoid reading the labels? Pretend you don’t know that the ingredients in conventional candy are at best unhealthy and at worst, harmful? Give up candy altogether? If you have a sweet tooth and you can’t fathom giving up your favorite candy, Unreal just launched a campaign to put an end to junk food as we know it, starting with candy. Offered in five varieties, Unreal is the candy you’ll want to eat…the candy you’ll want your kids to eat, should you choose to allow them this sweet indulgence. If you’ve ever wondered why the first ingredients listed on a package of candy read more like a science experiment, you’ll learn that these “ingredients” help make candy more cost effective. 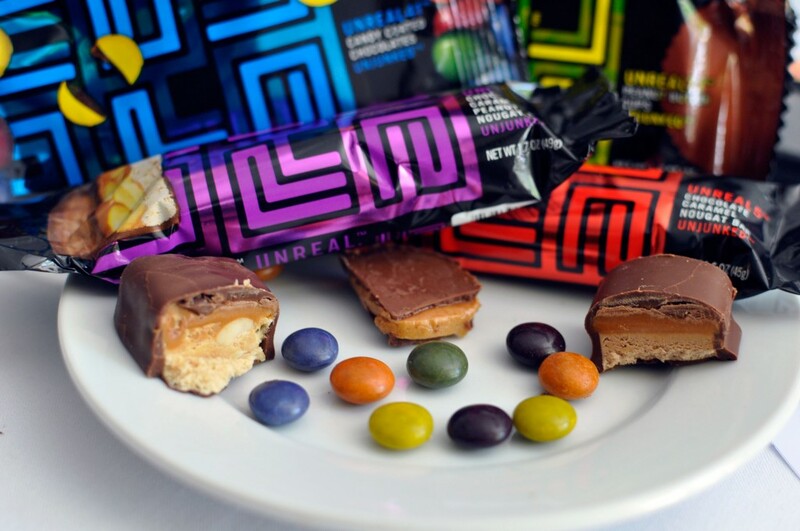 Unreal candy has “unjunked” some of the most popular flavors and replaced those “fillers” with more cacao, peanuts, real milk, cane sugar, and organic palm fruit oil. When you pick up one of their packages, you’ll find that the ingredients are recognizable…edible! And you won’t find corn syrup (in any form), artificial colors/flavors, preservatives, or hydrogenated oils/fats. Your next question is likely, “How do those candy bars, peanut butter cups, and candy coated chocolates really taste?” In my opinion? Not only delicious…moist, perfectly chewy, crunchy, and sweet…BETTER than their conventional counterparts. Maybe it’s because I can’t look at a package of conventional candy without cringing at the lengthy ingredient list. But maybe it’s because Unreal uses REAL ingredients. Do these products contain fat, calories, and sugar? Absolutely! I wouldn’t necessarily say they are “healthy.” Rather, they are a better option for people who enjoy the occasional sweet treat. So where can you find these five new candy flavors by Unreal? Ironically not at your local Whole Foods Market! They’re available in conventional stores like CVS, Target, and Kroger at prices that match your conventional favorites! 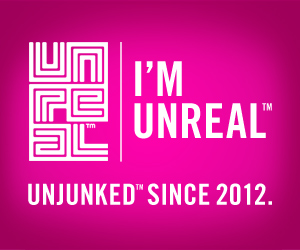 Prizes: 50 winners will receive an Unreal prize pack! No compensation was received for this post. I was invited to a media luncheon and received products to sample. Photos: Rockin’ Mama unless otherwise indicated. All rights reserved. 14 Responses to Unreal Candy…Real Ingredients…Minus the Junk! 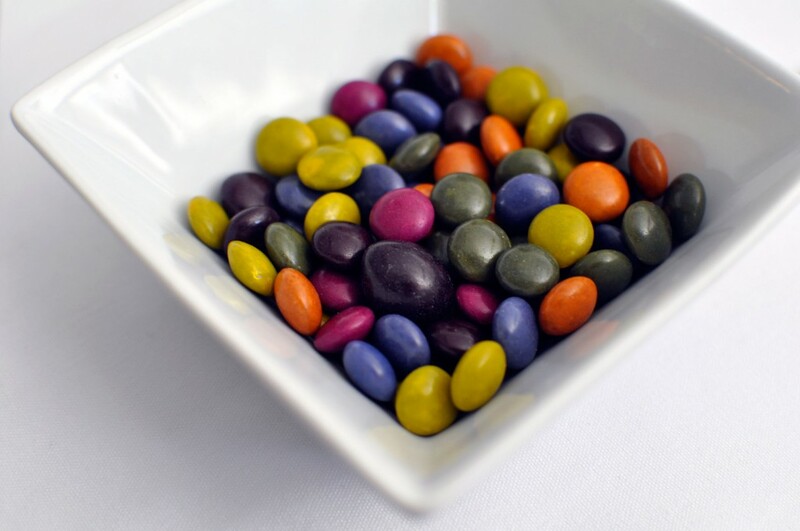 I love candy, and it would be really great to have a healthier option to satisfy my cravings! Hmmm. I’ll have to try them out next time I see them. These sound delish. Now if only they could “unreal” the calories! These look yummy! I want to try them! looks delish! love that they are so clean some of those chemicals are so scary!! Would love to have piñatas filled with this instead of all the junk that goes into them now!!! My girl´s birthday party is coming up, so I´ll give these a try instead. I need to try these. They look delish! Yum! I am already in love with this candy!! I’m much more cool with candy that is not loaded with chemicals. In moderations. Hey Caryn…not sure if you’re familiar with BzzAgent.com or not, but they just released a campaign on Unreal Candy and I noticed that someone under the name MPolley is using your photos as their own. (unless it is you…and then good job!) I wouldn’t have noticed it but I had read your blog post in prepping for this Bzz Campaign. I’ve often found my own photos used by someone else as “theirs” on word-of-mouth sites and it is frustrating. Even a photo of my son was once used by someone as “their child”. WHA?!? Pretty sure I recall giving birth to him lady!!! Anyway, not sure if you care or not, I just thought you may want to know.